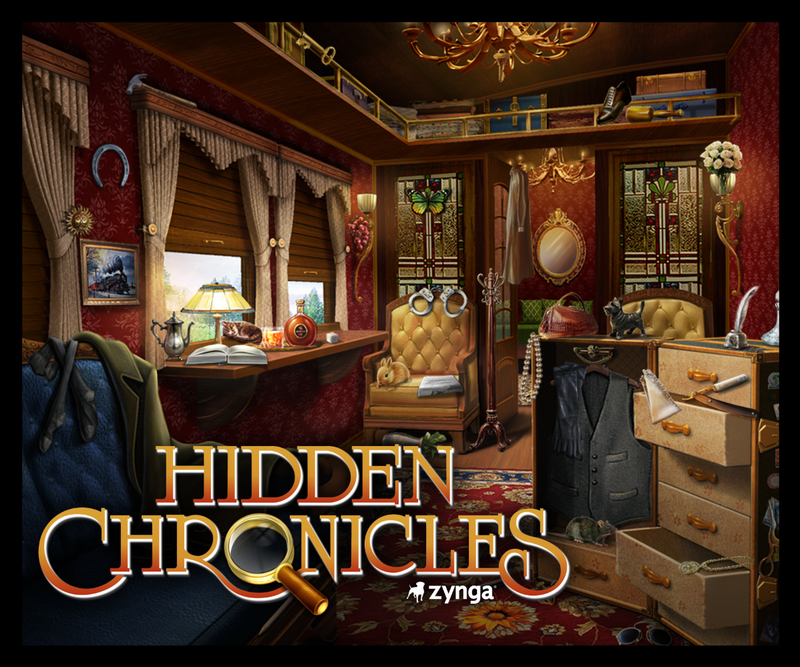 “Coming soon”…Zynga’s little way of saying “we’re not quite ready to release this just yet, but we’re pretty darn close.” Well, today is the day we even more officially declare Hidden Chronicles is “coming soon,” and we’re pretty excited. Three Mini Games: ‘Like’ the fan page and unlock three Mini Games of hidden object play: Geoffrey’s Desk, Estate Gardens and The Library. Each scene contains a very lite version of hidden object gameplay and provides a useful introduction to the hidden object genre. Players complete mini-hidden object scenes that are timed and can share results with friends. The scenes are re-playable so make sure to take a few double-takes. Each scene provides a light reference to Hidden Chronicles’ storyline. Think these are easy? Just wait until you see the real thing. Hidden Chronicles Game Trailer: See what you’ve be missing with our special launch trailer, showcasing actual Hidden Chronicles gameplay footage and game screens. While you’re there, bask in the beautifully drawn environments and intrigue that is the Ramsey Manor. Hidden Holiday Card: ‘Like’ the page to open up Hidden Chronicles-inspired holiday cards. Fans can upload a photo to hide within the card, and decorate their tidings of comfort with holiday-themed hidden objects. After adding a special holiday greeting, cards can be shared with friends and family on Facebook, Twitter, Tumblr and even pinned to Pinterest. We’re also giving players the chance to see their face in lights in Times Square on New Year’s Eve. Any player that shares a holiday card online between 12/19 – 12/21 can submit their email address for a chance for their photo and name to be featured on a billboard in Times Square on New Year’s Eve. Hidden Chronicles is a social scavenger hunt, packed with hidden object play, engaging puzzles and the mysterious Ramsey Manor — complete with unique characters that need your help to protect a closely guarded secret. Hidden Chronicles features beautifully drawn environments, including scenes from around the world and throughout history. Designed in soft photorealism, the art style is sophisticated and engaging with animatics and customized music that brings each scene to life. Hidden Chronicles is (you guessed it) coming soon! For now, keep it tuned to the Hidden Chronicles Facebook fan page for more.